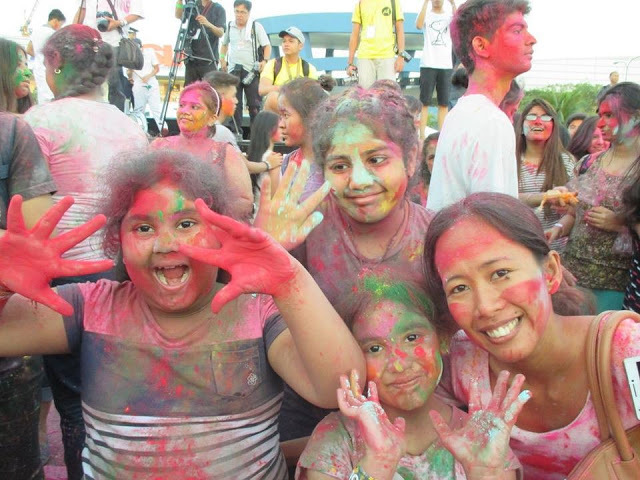 The biggest color festival from India is back in Manila! Asia Society Philippines, Embassy of India, Federation of Indian Chambers of Commerce, SingIndia Music of the Soul, Indian Ladies Club, and SM By the Bay invite you to HOLI FESTIVAL 2017. Holi celebrates the turn of winter to spring. It is uniquely characterized by the special colored powder that is thrown up in the air (and at each other) to symbolize friendship, unity, and a sense of revelry. Tickets are now available at PHP 200 pre-selling. Tickets bought on-site shall be PHP 250. Tickets are available at any SM Tickets outlets or at https://smtickets.com/events/view/5390. Click here link of the official Facebook event of Holi Festival in Manila 2017. See you guys there :) To read my blog review of Holi Festival of Colors Manila 2016, please click here.